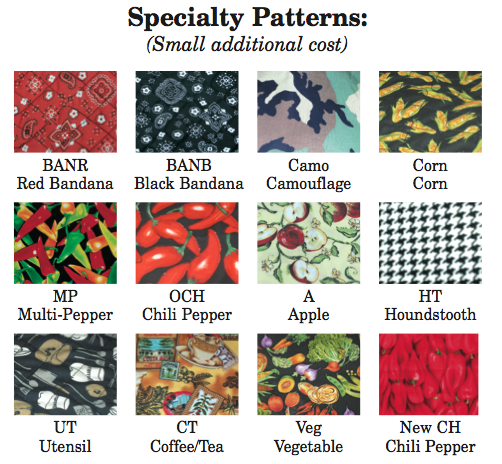 We are frequently asked what specialty patterns are offered for most of our textile products. Please refer to the chart above for examples. Not Interested in a Specialty Pattern but instead our color choices?